Okay, Guys; you asked for it and you got it! For now, we’re done with the fluffy, symmetrical room floor plan that we did the other day. Unfortunately, there are a LOT of houses like this. To me, it’s a lot like a restaurant that serves bad food. I mean, ALL they have to do, is make something you put in your mouth, taste good. That’s it. Food. Delicious. But no, it’s revolting. As Woody Allen said, “the portions are small too.” hahaha. And, it’s the same with our home builders. All they need to do is come up with a house layout that has beautiful, well-proportioned rooms with great flow. And yet again, they fail to do so. This post didn’t turn out exactly the way I had planned. For instance, last night, my website was down for nearly five hours! That’s right. If you tried to get on my site, you would’ve gotten a white screen. Isn’t that just peachy?! Of course, that meant that I also couldn’t get on my site. Apparently, the server was having its period or something. I don’t know. I’m switching soon. But, things have gotten a little backed up. However, I do have something interesting to share with you, so please hang on. It’s always, an “if only.” Right? Alas, “if onlys” usually cost a lot of money to fix and/or are impossible to change for some reason or another. I lived in such a house for 22 years. A townhouse where certain changes are impossible. And I am not joking when I say that over the years, I spent dozens of hours trying to figure out our L-shaped loooong living-dining room. So did every other neighbor who had the same townhouse model. There were ten of the same model. And maybe in that time an average of 2.5 turn-overs. That’s 25 home owners who couldn’t figure out this space. Here is the floor plan that I actually drew from memory haha– today! Now don’t get me wrong. I loved my home. Many, many reasons: I loved it for its light and bright airiness. And, I loved the white on white. I ADORED the mouldings that we added years later. And I loved it because it had a fireplace with a lovely classically traditional fireplace mantel. I told my husband in 1990 that our new home must have a fireplace. He rarely ever argued with me. Early in 1991, we began our house hunt with purpose. We were living in an apartment in the Flatiron District in Manhattan that I talk about a bit in this post. However, with a rapidly growing infant and a small, 700 square foot, one-bedroom apartment, we needed more room. Besides, I was tired of tripping over homeless people laying in the street while strolling my baby. We focused on Northern Westchester County after a rec from a friend of friend. You know how it goes. We saw a few places in our price-range that completely underwhelmed us. And folks, I have to tell you something. When we walked in, there was puky-pink carpeting–EVERYWHERE. And not one stick of furniture. NOTHING. The house was EMPTY! Of course, it was FREEZING inside. We also had our seven-month old baby with us. Yes, that baby. There were no mouldings. The kitchen cabinets, made of the most tasteful almond melamine ever. haha The kitchen floors? Faux terracotta that was really linoleum. And there was hideous wallpaper in all three bathrooms. The major bones of the house were already there. I was in heaven and even though I was shivering to death, I’m not sure if it was from the excitement or the cold. I think a little of both. The point that I’m taking a long time making, which you got the second I said that the house was empty is that it doesn’t matter. But, Laurel, you have great powers of visualization and many of us don’t. Ummm… no… it appears, not so great over here, either. IF I had these wonderful powers of visualization you speak of, I would’ve gone whoa! This floor plan is a bear and a half. Come darling husband, let’s move on. But noooo… In typical impulsive fashion, I was so infatuated, we had an accepted offer within 90 minutes! That’s another story. The house had been on the market for a year. hahahaha. There was no need to make such a rash decision. But that didn’t stop us. I think I’ve mentioned that I don’t have a lot of pics of the house which is a little dumb of me. However, get this. Even though we sold the home over five years ago, I found the old real estate photos! Ugh. Okay, better than nothing, but have to say that they are HORRIBLE! Sorry, to be so negative. But they are even worse than the photos of the home you guys ripped to shreds helped Cyndi with while I was on a little R & R.
The good news is that a lot of the furniture was gone because I had already moved out. But, I was there the day the photographer came to shoot. He didn’t just take photos. He had a high-speed camera that he clicked a million times to give a special “depth” to the images. And yes, he used that horrible wide-angle lens. The images are washed out and BLAND and the lens needs to be banned. By the way, our bad photos didn’t matter either. We did not need to wait a year. We had our offer at full asking price only 3 weeks later. In our case, I got us the most badassiest realtor in all of Westchester County; Angela Kessel. Apparently, she sleeps with her cell phone surgically attached to her ear. That is how fast her response is any time of the day or night! Can’t recommend her highly enough. This is a photo that I took in our den about six years ago. The best part of the house, but still a little distorted as you can see by looking at the wicker chair. Ugh. The sheer linen Roman shades are not purple! :] I took the four gray chairs. Here’s how it looked before. These colors are far more accurate here. Do you see my “rolodex?” haha? The wall color, Pratt and Lambert Ancestral is similar to Benjamin Moore White Dove. Ahhh… but just shut me up. There’s the fireplace. And thar she is in her entirety. Almost. The ol’ L-shaped living-dining room floor plan. What is that ugly thing with the rag on it, Laurel? Be nice. :] It was the best we could do at the time. And, it’s distorted. (what else is knew?) It was part of my wasband’s old sectional with a semi-unconstructed slip-cover I designed in 1991. There’s a better, albeit fuzzy pic below. So distorted, washed out and yellow-ish. I know. It just bugs the crap out of me. The ceiling is a pale aqua too! I mean, it’s supposed to be. These are the Melamine cabinets! I had a guy nail on moulding! And then he sprayed them. Now, everything was re-painted. It was a crap job with plain white latex. I wasn’t around for that. We should’ve put on knobs, but other than that, I was very happy with the facelift we gave the kitchen and cabinets. We changed the floor and the ceiling is Anaglypta wallpaper, painted a glossy white. My boys always thought it looked like paper towels. haha! The dishwasher was new and the range, and micro- hand-me-downs from a neighbor. Not kidding. The wall color here IS a muted yellow-green from Pratt and Lambert– Flaxseed. Yes, that’s snow outside. The kitchen and den face north, north-west, so rather dark except for occasionally a ray of sunshine in the afternoon. The hill killed the light most of the time. The little den. I’m embarrassed about that cabinet the old TV is sitting on. That was a hand-me-down from a friend too. Oh well. All of our money went for music lessons. And then we hit some hard times for numerous years. Alas, that is a little Odegard Tibetan rug which Peaches mutilated pretty well. And I had that little built-in cabinet made. It’s really only about 40 feet from the back of the house to the front. It looks like 80 feet here, at least! The green table was one of my many air-head mistakes. It was supposed to be red. The table looked great in our den, so not such a bad mistake. Another part of the sectional with some expensive Lee Jofa fringe and cheap linen velvet from ABC Carpet and Home! That is one of the few fabrics that Peaches did not destroy. The white chair didn’t do too badly and same with the linen. However, the other chairs in the front, had to be dumped. That’s how bad they were. Notice, the prints over the green table are gone. Lots of things are gone. I had moved out already, but I did bring some things back for the shoot. The colors in the den looked so lovely when IN the room. It just doesn’t translate here at all. Here is a sketch of our room floor plan with the furniture. If we had company and needed more seating, we’d just go grab a wicker chair or two. It worked out fine. I liked that the room didn’t have a lot of furniture. Oh, there’s another photo here. I moved the white chair for the photo. Below is a little messing around I did earlier today with the floor plan. It’s a little rough, but the rectangles in the middle stand for chairs. The piece to the left of the sofa is a chest. It does not look good to have the sofa facing the fireplace directly. This is one of those “if only” the room were a foot wider. Just one foot. Because the area adjacent to the dining room table is the central traffic artery in the down stairs, and I raised two hellions. We really needed to keep more than three feet clear the entire way. Here’s a pic from a neighbor who sold her townhouse recently. She just put everything by the bay window. I was going to do some more with this room, but time has run out. In any case, I hope that this helped those of you who have an awkward layout maybe something like this. I do have a few other difficult room layouts and if you’re interested, I could explore those. I found out several weeks ago but can only say now that I have been nominated for a prestigious AMARA Interior Designer Blog Award. It’s an international competition and the finals take place in London! (it’s not a requirement to be there) I have no idea who nominated me, so if it was you, please let me know so I can thank you! I was also nominated two years ago, but I had just queried you guys about something else and don’t like to do that too often, so I took a pass that time. But, this year, if you can help me out, I’d be immensely grateful– and honored. I need your votes guys!!! That’s because part of the decision is based on number of public votes and part is the judge’s decision. You can only vote once and it’s super-duper easy. Just voted for you. Keeping my fingers crossed that you win! Please accept my belated many thanks for all of the work your put into your blog. As many have said, I appreciate your honesty and your willingness to share your true self. You have taught me so much. I pray God’s blessings on you, dear one. Hello Laurel, Of course you got my vote. I could not look at all the entrants, but let’s face it, who else could have even half of your class and entertainment value! Thank you, thank you for this post. So much resonated. “especially the admission you did not recognize “this floor plan is a bear and a half.” That alone helped me to stop flogging myself for at least 5 mins. And that’s all I’ve done since i bought this house – basically being upset with myself for not realizing i was not up to this challenge. The house i purchased and now live in which i call “the white elephant’ had issues I saw during the first visit, like a renovation by the former owner who obviously had issues with scale. It has 16 ft ceilings in a small room, an island that is 6 ft x 11 for a person who doesn’t cook or entertain, a kitchen that runs half the length of the great room open-concept living area but only has a 30 inch range, a refrigerator and two dishwashers, a shower that is 6 ft by 10 ft that someone commented it resembled a gym shower and an obsession for the same blinding brittanica quartz everywhere. And everything else is white too. 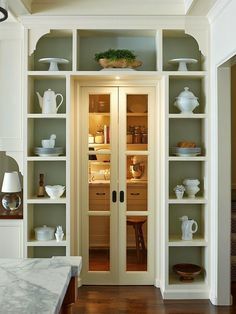 They removed most walls, closets, built-ins in other words, ‘charm’. But as my realtor said: “If you don’t want it, the next person will.” It is a very desirable neighborhood. So I jumped in. I thought anything was better than another year in an apartment not seeing my things that were in storage. My question as a non-stager without unlimited funds to correct things and knowing you are not a psychologist is: how can i make peace with my home and esp stop beating myself up for buying a place that appeared spacious compared to an apartment but now feels cavernous and cold to me because there are so many hard surfaces and everything echos and is a blinding white quartz. This is more than a paint issue. And something i might have to live with for a long long time. This house will need so much to achieve a cozy home-like feel that I long for, that i don’t know if it’s possible to ever feel like i’m not living in someone else’s home. I have put my entire furniture budget in here and i’ve barely made a dent in the ‘warming it up department.” as well as paying for a few undisclosed surprises like air conditioning deficits or a leak in the roof. It needs a normal sized kitchen too- not the bright white quartz entertainer’s delight. How do you make peace with what hurts your eyes and take the focus from what is ‘wrong’. How do you let yourself off of the hook for missing that the fact that maybe I should have run. This was supposed to be my last house but above all, a place that felt like my home. Oh, MsScarlett, I have to admit that this one has piqued my curiosity. This reminds me of the old expression “putting good money after bad.” What I’m trying to say is that it it appears that this is not your forever home, because to make it the way you’d like it, is beyond your means. And even if it was within your means, it sounds like it wouldn’t be worth it. But, please. EVERYONE makes mistakes. And believe me; I’ve made some GIANT WHOPPERS! And one of them contributed to my being here today. Put that one in your pipe and smoke it! In the scheme of things, although I’m sure that it’s disappointing and you’re understandably kicking yourself, it’s time to forgive yourself. After all; nobody died. Nobody is maimed for life. Everything else is pretty much fixable. If the thought of unloading this one, in favor of a home that you love, makes you feel light, free and happy, then it is absolutely the right decision. Thank you Laurel for your kind response – that’s what i was afraid you might say. Reselling has crossed my mind too – with the exception that after almost two years in the tight market, nothing else except things that need to be almost completely gutted or are completely original from 1990 have come on the market. Most things here don’t hit the MLS or are gone in a day. The year over year appreciation here is almost 15% so i am trying to see myself fortunate to be able to live in the area i wanted. But I will take that suggestion and not put good money after bad and just hold on for a bit especially after moving coast to coast. All markets change, don’t they? And i’ll hope for a happy ending like yours. For now i am a little stuck if i don’t want to move to an apartment again. But i will not make it a money pit. About POTS, i found getting diagnosed was the hardest part. Although i had all of the text book symptoms including tilt test, my doctor insisted it was anxiety. I was almost bedridden for two year when i got to the autonomic disorders clinic at UCLA where they figured it out immediately. I am on a 20 percent of the beta blocker i started on in 1998. And the thing that has helped me most in my opinion, believe it or not, was exercise. Over the last decade, exercise like barre or even lifting heavier weight and really trying to build as much muscle and strength in my legs and body, has kept me from being deconditioned and really made my stamina and responses like other people, except for the pesky residual effects like heat intolerance or the migraines and orthostatic tachycardia without the beta blocker There are now more studies that show that rather than avoid strenuous exercise as once was the suggestion, to do as much as possible to not be deconditioned is the way to regain alot of functionality. I am fortunate that I have a wonderful physician who did a poor man’s test in his office and my blood pressure took to big a dip upon standing.That, plus the episodes I was getting. Then, I found a wonderful cardiologist who did the tilt table test. It’s def not anxiety! And you are so right about the exercise. But I don’t have to tell you that it’s a vicious cycle because for me, exercise was making me sick. And then, it just gets worse as muscle-tone decreases, circulation decreases. A couple months ago, I started forcing myself to go no matter how horrible I felt. I kept reminding myself that it’s just an icky feeling and it’ll pass. .
After I started on the beta blocker, I was able to tolerate exercise much better and don’t get as sick as I was. Sick as in weak and phenomenally nauseous. But, I have still had a couple of episodes that come on without warning. Over-all, it’s much better now. And yes, one time, misplaced my pills and I was visiting my cousin in WI. Have to take it now. Felt like I was about to pass out. I did find them but it took about 30 minutes! Then, I had to lie down for a bit and wait for it to work. I love this blog and actually check to see if it’s in my inbox yet..unheard of for me. Laurel you have the mysterious gift that great teachers have…you correct and instruct at the same time that you support and build confidence. I need it all! Oh AS, that is the most lovely comment ever! When I’m writing, in my mind, all I’m doing is having a gabfest with my best friend over coffee and we’re munching on the most delectable pastries with a sugar rush! So many people have told me that they feel like we’re out having coffee! Well, now you know why! Just voted for you….and I want to thank you personally in public for always responding to my email questions to you. I am over the moon impressed that you take the time to do that and your answers always are informative. My comment about the floor plan is to view the fireplace from a grouping to the north of it. The sofa is great against the wall with chairs opposite. I agree that there should also be a grouping in the window area as well (two chairs and an ottoman in front of them). Thanks so much Sharon! I very much appreciate your vote! 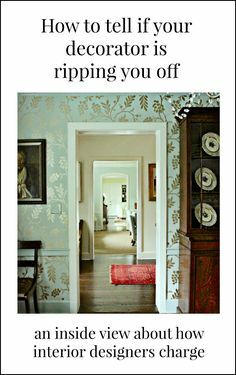 Searching the web for Bunny Williams’ fabulous interiors about 2 months ago I fell in your trap with your post on her husband! Ja ja! This comment is an excuse to thank you for your great blog, you are very generous sharing your knowledge and really you make it fun! I will be counting on what I have learned with you when doing my new bedroom here in Patagonia. I bet you never thought you would have readers this far. Wishing you all the best for this nomination! My problem is a sofa wall that isn’t long enough for a sofa and side tables. No side tables – no lamps. A console between the sofa and wall could accommodate lamps, but where do I sit my tea and my book? My sofa is 82″. 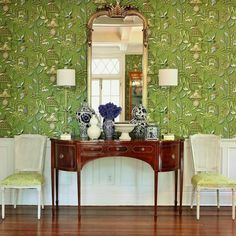 And, I bought that darling brass Pottery Barn Colette side table with the antiqued mirror top and shelf and fretwork railing from a long ago widget. My ‘coffee table’ is actually a pedestal table between the two chairs flanking the fireplace. It can be pulled in front of the sofa but it’s at it’s best between the two chairs. Had a massive corner fireplace that was out of scale to the room for many years. Yes, a headache. Thanks for your vote of confidence! Does the sofa wall end with a perpendicular wall, or a doorway, or two doorways? Just wondering. You can do sconces for lighting, perhaps? That doesn’t solve the “where to put your tea and book. You could put them on the console behind you, but if you’re like me, the tea will go flying when I forget that it’s there and go for a stretch or something. Laurel that IS my great room floorpan- except my room is larger and the fireplace is centered, thank God! I can float the sofa in the center of the room opposite the fireplace and still have space for people to pass by to get to the stairs. Having space hides a multitude of sins, for sure. I wasn’t looking critically at the floorpan, either, I just walked in, saw the view out those windows and that was it. My problem is the dining area is smaller than your home here, in fact old realty photos show the dining table way down there by the windows (that area of mine is bigger, there are basically windows on three sides of that end of the room) which means you walk all the way through the living room to get to the dining area from the kitchen. Awkward! 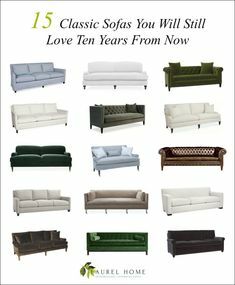 My solution is to have a custom L-shaped banquette built into the dining area, it’s a more casual house so I think that will work really well and I should be able to seat 10 when it’s done. Hi Laurel! I voted! I am so excited and thrilled for you and wouldn’t that be wonderful if you could go to England and accept the award in person???? I have one of those rooms Laurel! We are rehabbing a very old house. Oy vey! I know I’ve mentioned that here ad naseum. Question to you and your lovely readers. And only answer if you have time or feel so inclined. Is a corner fireplace better than no fireplace at all? I am leaning towards the dreaded corner fireplace because I cannot for structural reasons move it. I love a warm fireplace but I have a feeling I will be cursing it soon enough. There are very intelligent people on this blog and perhaps someone can answer that. I’m sure I will get the “it depends” situation. I’ve got yet another designer coming to the house who seems to have my taste so hopefully I get that sorted out. Well, if you ask me, I would say that having a fireplace in the corner is definitely better than none at all. And in some rooms, it’s absolutely fine. Of course I immediately voted for you- it’s the very least I can do to show my appreciation for all the hours of dedication you lavish on us, through your wonderful blog. My living room is 13.5’x 21′..and there’s not one solid wall! The shorter, end walls have two windows each, plus, one, also has a centered patio door to the deck.THREE doorways as the living room also acts as a conduit to the bathroom bedroom wing. Fireplace, centered on a wall with two doors, but you can’t put a sofa opposite because it would be right next to the doorway to the bedrooms.. If I could I would vote repeatedly for you every day until you won! You are just so much better then everyone else. You are so funny as well as informative. It feels like we’re having a glass of wine together when I settle in to read your blog. We have just bought our hopefully final home ever…. took ten months to both like same house so we bought it….but it has unpaintable wood trim everywhere and corner fireplaces in two separate living rooms each with three french doors and deep bay windows on fourth wall and the only remaining wall space has radiators for central heating! Thanks so much for your vote Caryn! That reminds me. Atop the hill in the back are 16 more townhouses for a total of 30. Well, when we moved there in 1991, there were only 8 out of the 16 and nobody was living in them because the developer had gone belly up. But, the following summer, some people moved in and then a year later, they started building the remaining 8 townhouses with a new developer, of course. How could I say no to that beautiful smile?! Hurrah! I have one of these vexing long L-shaped layouts too – I actually did notice it when house shopping despite the distracting large windows, sunshine, vaulted ceilings, corner fireplace, and view, haha. Like you I wish it was one foot wider! Ours has the kitchen about where all your stairs are – if I can get it together I’ll send you my scale drawings. I’m happy to vote for you. You deserve it. You are always so generous with your advice & knowledge. And humor! I think that part of it depends on which corner and also the length of the room. In my case, the fact that there’s a pathway, a pole (holding up the house, literally) and then a dining appendage makes it more difficult. One wonderful advantage to the room was that one time, we had a LOT of people over and needed to seat as many as possible. So, we turned the table on an angle into the living room, opening up both of the leaves. There was room with the table in situ to open up only one leaf, but not both. It was a lot of fun! 1. Thank you for calling out the “help” with the St. Simons, Ga house. It was lovely. I live in coastal GA as well about an hour north. With a home like that why in the world would someone want it to look like a beach rental. No way.. Your follow up post from Providence was spot on. 2. Our home is relatively new and an open concept with a fire place flanked by two large windows with on small wall the rest open space. We have been through two interior designers and the room still looks hideous. Colors and furniture are still off. Yard sale or auction here we come and more blog reading. Oh, thank you so much R! The two windows flanking a fireplace reminded me of a consultation I did about 16 years ago. It was shortly before flat screens became wide-spread. The home was in a development of large post-modern colonials. Actually, I believe that is an oxymoron, lol. But anyway, she had an open concept family room/kitchen. The back wall was solid windows– two stories. (hang onto the thought of an entire 20 foot long two-stories of windows) Next wall was a staircase with a half-wall on an angle, but very little usable space. That went into a hall for the remainder of the wall. The fourth wall was the open kitchen. So, where to put the TV? The area in front of the stairs was also a traffic area and the light from the windows would be problematic as well. I suggested as we had done before to cover up the two windows flanking the fireplace and build cases deep enough to hold a TV. They were set in deeply enough from the fireplace that this would’ve worked out perfectly. Well, she looked at me like I had seven heads! And, with a REALLY, LAUREL??? haha! Loved your response to my post. We should have turned the windows in to built-ins but failed at the time. The worst part of our room is …. an we did not see this coming until it was too late and trust me, we are going to it have it removed when we repaint shortly …. not sure if you can handle this much tacky….the tv is of course over the fireplace; however, it is framed by a copy of the fireplace below….IT has to go…I have lived with it for 4 yrs. now and can’t take much more. My next challenge is to find one of your blog posts about layering rugs. We need a 10×14 sea grass rug and then what size goes over that??? More research and photos to see from your blog…then paint. They used Sherwin Williams which is not holding up – give me Benjamin Moore any time! I forgot what I said and had to go back and then see that I forgot to mention the wall with the fireplace and windows in the beginning of my story. You are the best! Thanks so much! I have my eye on a rug you showed from WS Home’; however it is a 6×9! Forgot to mention that I am totally obsessed with your blog as if you can’t tell! Laurel, i was fortunate to stumble upon your blog during the process of my new build. You are hysterical, and appreciate your keen eye and advice, I look forward to your emails with your blogs and sales. I have thought about that, but husband vetoed. And it might be a little bit weird…you’ll see why. But maybe it will make sense to switch when you see it? I took some quality photos for you today of the space and the adjacent dining room. I’ll send that with the floor plan asap and will be as thorough as possible. Talk about mission impossible, that is a really difficult layout you were living with, laughed at the 90minute offer, so get that! The heart wants what the heart wants. I just wanted to thank you for the previous ‘layouts for a long living room’ blog. I had been struggling with mine and it was so uninviting, and no proper conversation area, trying to spread things out. Used your conversational grouping principle, made my dining table smaller, moved the couch along, and suddenly I have an inviting, cosy atmosphere…and a room that will now be fully used! I can,t thank you enough Wonderwoman of Decor! Mate. Try antique and vintage shops, plenty of unique and well made pieces. Yes, they totally do. When it comes to new, affordable made in USA, maybe there is less to choose from without a hiring a designer though. There’s alot of crud made in Asia etc, that isn’t made to last. Just the same situation as here. Thank you for saying that about the EPA regs. We couldn’t get the good old Sikkens coating that we had been using for our cedar siding, so we had to go with the new less durable formula. One painter actually turned down our job a few years ago, because he couldn’t give us his normal guarantee using the new formula. GRRR. We found someone who ended up being great, but still. What a pain. Congratulations on your nomination! I just voted. Of course, I hope you win! I enjoyed the post, as usual. My great room in my open concept house is rather long, so I’m not completely happy with the layout, but it works okay. At my age, I’m not changing it. But if I could do it over again, (we built this 19 years ago) I’d definitely change many things about his house. I’d be willing to wager that there’s not a home-owner anywhere who built a home and afterward, wished they had done some things differently. Great discussion, Laurel–so informative and helpful. Hi Laurel, something new when I read your post: A big block fromAD telling me they use Custom ads. That’s probably the reason why your website was offline when they installed it. Sorry, not following “a big block from AD…” My server sent me this gobbledygook. “A software installed on the servers caused the network connectivity issue in the datacenter.” In other words, they installed software which caused the entire freaking thing to crash. And not just for me, but presumably thousands of other sites. Did they test this software before they let it go live? I’ve been pulling out my hair for 12 years trying to successfully arrange furniture in my small two bedroom apartment. One of the reasons I religiously read all of your posts is how great you are with furniture selection, scale, and placement. I’m going to send my apartment plan and see if you choose it for the demo (pick me! pick me!) It might appeal to your loyal fans who live in a city apartment as you do. My apartment has an open kitchen and two large sliders so very little wall space. I cook and we entertain at a largish table often so it can get quite tight in here. I think your old house is cozy. One solution for that floor plan is to cluster all the furniture at the end of the room where the window is, and then just put two big arm chairs in front of the fireplace for a separate conversation area. My grandparents built their own house and CHOSE to do a corner fireplace. You definitely can’t do a conventional furniture arrangement with a corner fireplace, but we loved their house. Thank you, it was, but except maybe for the den which was only about 10 x 14, the photos make the rest of the place look odd cavernous. Still– why am I complaining? Selling that place was phenomenally easy; especially with Angela Kessel! I have such fond memories of my grandparent’s one-bedroom apartment in Chicago built in the 1920s. In fact, about six months ago, I was having a massive bout of nostalgiaitis. (hmmm… didn’t pass the spell checker. haha). I remembered the street name and that it was only a few blocks from the museum of science and industry. And I rememember there was a court yard. Well, I found it on Google images! I hadn’t been there since I was 13! Funny. I live in a one-bedroom apartment building built in the 20s and with a courtyard! Well, Laurel, good news: I’ve just voted for you. Bad news: I’ve got one of your dreadful floor plans in the sitting room (but perhaps that’s good news from your point of view). The room is roughly square, with doorways on two walls, a French window on the third and a window on the fourth. No wall is long enough to take a sofa, the fireplace is in one corner, and it isn’t placed on the diagonal. Your previous post was a help in suggesting spacings and groupings. After reading it, I made a floor plan and did cutouts of the existing furniture, and potential new buys. But I think that placement is only one element of the problem: colours to increase an impression of space is another, also lighting. Oh, the dreaded fireplace in the corner but not on the diagonal. Why oh why do they do that? They’re treating it like it’s a light switch! But this one sounds like it has some additional pain-points, although I’m sure, very charming. Bad layout doesn’t necessarily mean aesthetically bad.